Santa Rosa, CA – (January 7, 2016) - Oliver’s Markets, Costeaux French Bakery, McLea’s Tire & Automotive and Summit State Bank joined forces for the fourth consecutive year to raise $6,517 from their “It’s a Wonderful Life in Sonoma County” giving campaign. Sponsors encouraged Sonoma County to celebrate the holiday season by buying a jingle bell for $1 at any of their respective locations. The more than $6,500, resulting from jingle bell sales and sponsor donations, funded unfulfilled Secret Santa letters through the Volunteer Center and KZST’s Secret Santa Program. “On behalf of our co-sponsors, we are thrilled to provide a $6,517 donation to Sonoma County’s biggest community philanthropy effort. The Secret Santa program makes an incredible impact through both the Volunteer Center and KZST’s efforts, and we are proud to assist with our co-sponsors and customers to raise program awareness and engage additional funds for such a wonderful cause,” says Tom Duryea, President and CEO of Summit State Bank. The Sonoma County Secret Santa Program helps ensure that kids, teens, adults, and seniors who would not otherwise have a holiday gift are able to smile and have hope during the holiday season. Originally two separate programs, The Giving Tree began in 1989 at The Volunteer Center with gift wishes for individuals on Red Heart Ornaments displayed on trees around the county. KZST started the Secret Santa program in 1990 with Brent Farris reading letters about individuals and families and what they needed. The Giving Tree and Secret Santa joined forces in 2008 to provide a better way to meet the growing need during the holidays. Summit State Bank, a community bank, has total assets of $506 million and total equity of $57 million at September 30, 2015. 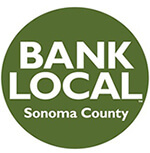 Headquartered in Sonoma County, the Bank specializes in providing exceptional customer service and customized financial solutions to aid in the success of local small businesses and nonprofits throughout Sonoma, Napa, San Francisco, and Marin Counties. Summit State Bank’s workforce resembles the diverse community it serves. Balanced with ethnicity, race and gender, 80 percent of the workforce are female with 83 percent of management positions held by females. 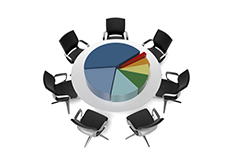 50 percent of the Executive Management Team is also female. Through the inclusion and engagement of its workforce, Summit State Bank has been rewarded for its accomplishments by receiving many prestigious and industry awards. Summit State Bank’s stock is traded on the Nasdaq Global Market under the symbol SSBI. Further information can be found at www.summitstatebank.com.